Today, I’d like to cover Don Failla’s 10 MLM Napkin Presentations. I had the pleasure of working with Don Failla for a couple of years in his MLM Company. I HIGHLY respect the guy. He is a legend in our industry and his book “The 45 Second Presentation” is one of the best-selling MLM Books of all time. If you haven’t read that book, you should definitely check it out. I’m going to cover each of his 10 MLM Napkin Presentations by summarizing the key points, and then I am going to throw in my own thoughts on each presentation. Enjoy the information. You don’t have to sponsor a lot of people to build a big network marketing business. This industry is about a lot of people doing a little bit. My Thoughts: In theory, this presentation sounds great; however, in my 16-years in this industry I have not seen it work out like this even once. Most top earners have sponsored 100 to 500 people personally, to find a few key leaders who go on and build a big business. While the goal is to get a lot of people to each do a little bit, the truth is, most people do absolutely NOTHING to build a business. Salesmen think they have to recruit a bunch of people who will go out and sell for them. In network marketing, we take a different approach. We sponsor people and help them succeed. To be duplicated in network marketing you have to help a person go three levels deep. Some people have recruited hundreds of people, but never duplicated themselves even one time. Our job is to teach people to teach people to teach people. My Thoughts: Skilled salespeople can do great in our industry. They just need to be taught the importance of duplication and following a system, since most of their team members will not have the skills that they do. Don’s point about teaching people to teach people to teach people, in my opinion, is the most important takeaway from the book. Out of all the MLM Napkin Presentations, this one is worth studying. My Thoughts: This is how network marketing works. Your network marketing business is like a tall skyscraper; skyscrapers have solid foundations. You have to build the foundation first, then the building. It can take several years to build the foundation of a big building. While you are building your foundation, the money comes in slowly. Once the foundation for a big building is built, the rest of the building is built rather quickly. Be patient, it might take 1-2 years to get a good start and get your foundation built in your MLM Business. My Thoughts: Digging your foundation in network marketing is everything you do to find your five serious people. In most cases, you’re going to need to sponsor at least 100 people to find those five serious people, and sometimes much more than that. Once you have your five, life becomes much easier. There are three type of people who join your business: empty ships, gold ships and silver ships. Empty Ships are people with no ambition who aren’t coachable and won’t do anything. Gold Ships are people with the desire, they are coachable and they are hungry. They will follow your system. They do what you teach them. They are on every call. They are actively retailing and recruiting. Silver Ships describe everyone when they first join the business. They have the potential to build the business, but who knows how things will turn out. My Thoughts: Spend your time where it is deserved, rather than where it is needed. Work with the willing. This represents, at most, 5 or 10 percent of your team. Ask your prospects if they know someone who might want to make some extra money or start a side hustle, rather than asking them directly. Launch as many ships as you can by talking to as many people as you can. My Thoughts: Realize this business is a numbers game. Use third-party tools and talk to as many prospects as you can, as quickly as you can. Once you sponsor someone, your job is to help them sponsor someone quickly. As your team grows you spend less and less time on personal sponsoring and more time working in depth. If you just recruit, and don’t build depth, you are simply playing the game of adding and subtracting. My Thoughts: Work at the deepest level in your organization with the newest, most excited distributor. Instead of opportunity meetings have sizzle sessions. This is when a group of 2 or more people get together to share ideas and strategies. The more people you have at the sizzle session, the more energy there is, just like the more logs you have in a fire, the hotter it gets. My Thoughts: Get people together whenever you can. This creates excitement and synergy, which is contagious. Building depth is the best way to motivate your team members. Build your business from the bottom up. Work with the newest, most excited distributors at the deepest level of your organization. The deeper you work in your organization, the more people you help and motivate. My Thoughts: I wish I would have learned this sooner in my career. Depth is where the big money and long-term money come from. If you don’t have depth, you have an unstable business. My Thoughts: While it takes a while to put into effect, once momentum kicks in, your business takes on a life of its own and grows rapidly. Your job is to teach people to teach people to teach people. You aren’t duplicated until you are three levels deep. You only need a few serious people to build a big team. The first couple of years in the business are the hardest, while you are building your foundation. My Take: If you want to build a large team of distributors and customers, your job is to get a lot of people to do a few key things consistently over a sustained period of time. My Take: You have to invest time with each person you personally sponsor, to help them get started right, IF they are coachable. Most people, about 90% of the people you sponsor, will not be coachable or want your help, so focus on the 10 percent that do. My Take: If you sponsor too many people at once, you won’t be able to work with them properly. The average person can only handle about five direct reports. If you sponsor more than that at one time, they will end up quitting because you can’t work with them adequately. Read more about why five is the magic number in MLM. My Take: You haven’t duplicated yourself in your network marketing business until you’ve helped your new person go three levels deep. My Take: The most successful distributors are coaches and teachers. They are good at helping others and showing them how to succeed. If you are a sales person you might be able to sponsor a lot of folks, but most of those folks you sponsor won’t be able to do what you did. So, be a good coach and teacher, not a salesperson. My Take: When you sign someone up, you really only have one job: HELP THEM sponsor their first person. And then go work with their new person. My Take: If you’re only looking for superstars you are making a big mistake and leaving a lot of money on the table. Try to find people who simply want to make an extra $300 to $1000 per month. Do that and you will naturally find some superstars along the way. If you talk to 100 people you might find one superstar. If that’s all you are looking for, that means you are ignoring 20-40 good prospects that would like to make an extra few hundred to few thousand dollars per month. My Take: Fear of loss always trumps the hope of gaining something. Show people what they can lose and you will keep people around. Light a fire in the basement and everyone gets excited. My Take: In any endeavor, you will fail more than you succeed. Temporary setbacks are normal. Nothing worth accomplishing is easy or fast. The only way to fail in network marketing is to quit. If you stick with it, and learn from your mistakes as you go, you will eventually succeed. My Take: If people have the lottery mentality, avoid them like the plague and do not sponsor them into your business. My Take: Five people can make you very wealthy in MLM. You might have to personally sponsor 100 to 200 people to find these five people, but once you find them you need to spend most of your time helping these folks achieve success. My Take: The sooner you can start working in depth the better off you will be. My Take: Light a fire in the basement and watch the heat rise. # 14 “Some people in MLM get discouraged after only a few weeks. I don’t think they have a right to be discouraged unless they have had at least six months of MLM School. My Take: There is a learning curve in every business. 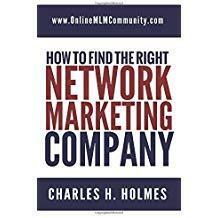 It’s going to take you six to twelve months to acquire the basic fundamental knowledge about network marketing. You go to school for 12-years and then college for another four years to gain knowledge, yet never question it. Why not give MLM a chance? My Take: Joining a new company or pre-launch company is a big risk. The more successful distributors you have in your upline above you, the better. These folks can help you, motivate you and train you. If you are one of the founding distributors, you won’t get much support, because you don’t have anyone in your upline to help you. Thanks for reading my summary of Don Failla’s 10 MLM Napkin Presentations. I hope you found the information helpful. Which Napkin Presentation is your favorite and why? Leave a comment below to let me know what you think. I look forward to hearing from you. These MLM Napkin Presentations are amazing. I love how Don keeps everything so simple. All you need to do is follow his advice, put in the work and make it big. I really like how he teaches about duplication, training your team, and working in depth. These are lessons I wish I would have learned earlier in my network marketing career. You got that right, Brandy. Don Failla was my personal mentor for a couple of years. He is a legend in our industry. This book changed my life for the better.